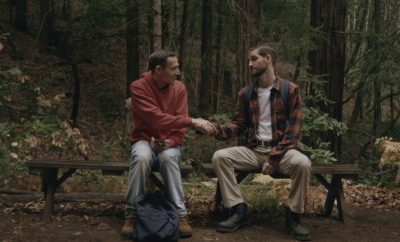 Outfest has kicked it up a notch with a diverse lineup of films this year, which includes the premiere of “Bright Colors and Bold Patterns,” from comedian-writer-director Drew Droege. Droege wrote the script for the stage and successfully toured it in Los Angeles and New York before BroadwayHD brought it to the screen. The film, directed David Horn, offers a unique and stylish look at diversity in the queer community. 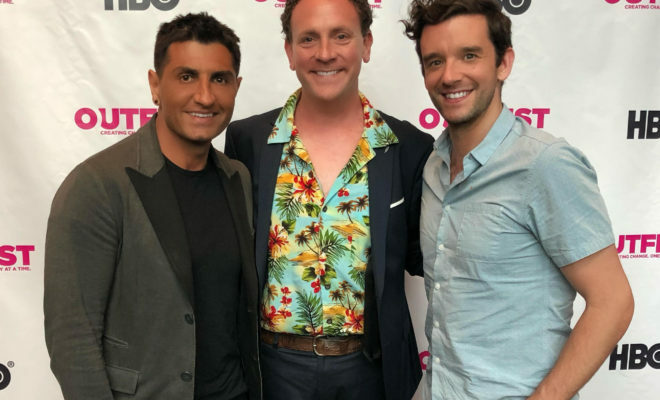 The director of the stage version of the show, Michael Urie (“Ugly Betty”), also attended the Outfest screening, held at the Directors Guild of America (DGA). Gerry (Droege) is a highly opinionated, flamboyant and talkative gay man, who arrives in Palm Springs to attend a gay couple’s wedding. However, unlike his colorful character, the couple have noted on the invitations that guests should avoid wearing bright colors or bold patterns to the wedding. Disgruntled, Gerry rants and goes on tirades about gays being forced to adapt to politics of respectability in a heteronormative society. But unlike some films, Droege does not use typical and cliché punchlines to get cheap laughs from the audience. In fact, the script is very dense and intelligent, without being intellectual. Although Gerry is pretentious and sometimes judgmental, Droege’s humanity and modesty is evident between the lines. 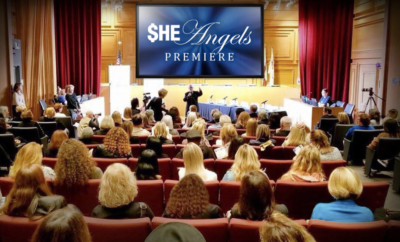 The film played to a full-house at the DGA, in its largest theater, and had the audience laughing the entire time. Outfest runs through Sunday, July 22, in numerous theater around Los Angeles. For more information about the festival, films, schedule, tickets and how to support the organization, visit Outfest.org. 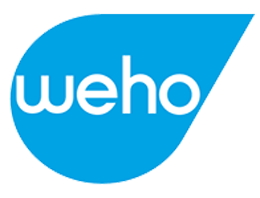 Writer Vic Gerami is a regular contributor to Goweho.com.